Prince Godwin Samson Idiong is indignant. This large man from a royal family in Nigeria moved to India nearly 30 years ago, but he now finds his community of settlers in a corner. “Some people don’t like us for political reasons," says Idiong in a deep baritone. “The negative news coverage affects us. We hear a Nigerian has done something bad and people generalize it, and for this we feel very sad." As the first non-white colonized country to break with Britain, India’s non-violent path to independence was a source of inspiration to Nigeria’s own independence movement nearly a decade later. It became one of the few African countries to successfully make a non-violent break from colonial rule. The first Nigerians came to India as students in 1963, as a part of a scheme set up by India’s first prime minister Jawaharlal Nehru to secure political friendship between the two countries. Idiong was among the first generations of Nigerians to take advantage of the scheme, arriving in 1983 at age 17 to study economics at Rohtak University in Haryana. His initial impression of India was quite positive. “I loved India," says Idiong, wearing a black fedora and an air of authority that fits his ponderous frame as perfectly as his carefully tailored olive-green suit. “Everyone has always been friendly—the transition was very good." After completing his bachelor’s, Idiong went on to get a law degree in India, met and married an Indian woman and started a family. Now in his late 40s, he has been living in India most of his life. Nigerian immigrants in India have slowly made this country their home, but concerns over racial discrimination are never far from their minds. But setting up shop in India is no easy task: Idiong says the most common complaint by Nigerians interested in settling in India are the challenges associated with doing business in the country. “There are so many Nigerians who would love to start businesses, but registration and visa rules make it very difficult." Students and businessmen also worry that persistent reportage characterizing Nigerians as drug peddlers and petty criminals gives the community a bad name—and makes starting a legitimate businesses more challenging. Hillary John is one such eager young entrepreneur. 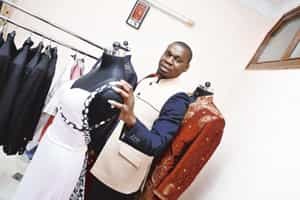 The son of a well-known Nigerian seamstress, John is the first African student to study at the JD Institute of Fashion Technology in Delhi and has ambitions to launch his own fashion brand in India fusing Indian and African styles. A lanky 6’2", with close-cut black hair and a calm, Buddha-like demeanour, he wears only his own creations (in this case, a shiny grey jacket over a chirpy floral-pink dress shirt). He works out of the front room of his second-floor apartment in Safdarjung Enclave, filled with racks heavily hung with men’s shirts, sports jackets and women’s dresses. “I like to design things that are original, that someone would want to wear to be extraordinary or unique," he says, gesturing at a starched white, elaborately ruffled men’s dress shirt with shiny black buttons. “Coming from Africa, I know I have something different to offer—a perspective Indians might not have." Though his brand, Diamond Ark, has garnered some attention—he won awards for best design and most outstanding collection of the year at his design school—John says visa restrictions and heavy tax laws levied on foreign-run businesses are discouraging. Nor is he alone; according to John, many of his Nigerian friends eager to start legitimate businesses in India are running into a wall. “There are quite a few of us," says John. “I know many other students with business ideas. Lots of Nigerians want to stay." Even Idiong, who has now been living in India for most of his life, has found pursuing an independent livelihood difficult. Although he completed his undergraduate and law degrees at an Indian university, he cannot practice law in India because “the system does not allow a foreigner to practise here". Recently, the Madras high court passed an order allowing foreign lawyers to visit India to advise clients on foreign law. So, rather than find employment in his area of expertise, Idiong makes a living buying and selling cloth between Nigeria and India with his wife, ferrying his family back and forth between the two countries. He is among the lucky ones—running his business is significantly easier because his business partner (his wife) is an Indian citizen. 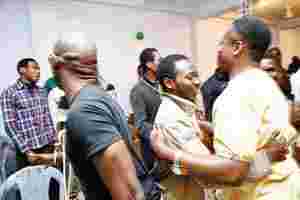 Though the church is open to everyone, it is of particular comfort to Nigerians (about 60% of the congregation), who find an oasis of warmth in a city that can otherwise be cold to Nigerian newcomers. “Finding this church transformed my life," says Williams Jide, the musical director of the church, who came to India from Nigeria only a year ago to work on Bollywood music videos. According to Jide, many members of the congregation initially had trouble mixing with locals. “Most Indians do not want to associate with blacks," he says. “When I walk down the street, people will make comments at me about the colour of my skin—derogatory comments. I ignore it. I don’t retaliate or answer, but I feel bad about it." Idiong speaks with a politician’s tongue, dancing around the word “racism," while ensuring his meaning is clear. “There is a problem with getting apartments. 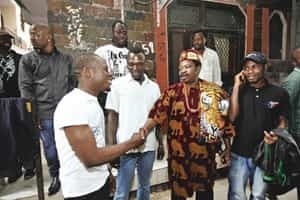 Many landlords don’t want to take Nigerians even if they have a paper of verification from the embassy, which means that the Nigerian government knows they are here," says Idiong. “To get an apartment you need to get an Indian agent who knows the landlord very well." Idiong adds that AINSCA advises Nigerians to steer clear of certain areas with a reputation for racially targeted violence, generally in reaction to news highlighting criminal conduct by Nigerians. “There have been incidents of mob action in certain areas and we have advised Nigerians not to live there," Idiong says. In an effort to improve the reputation of the community, AINSCA collaborates with the Indian police to turn in Nigerians who might be engaged in criminal activities, according to Idiong. “If we realize that a Nigerian is staying here without bringing good name to Nigeria, or is doing something that will strain our relation with India, we make sure that we get the person arrested ourselves," he says. “We take him to the police and say he has to go home. We have done it before, and we will continue to do it." This is the sixth of a 10-part series that profiles foreign communities that are contributing to India’s cosmopolitan culture. Next: South Korean immigrants learn to live with the cultural differences.